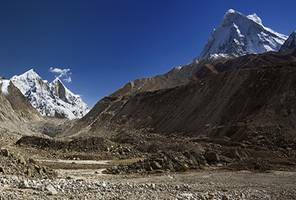 Name of the Trip : "Source of Ganga - Tapovan : Base of Mystic Mountain Trek "
Enjoy 7 nights 8 days trip to the heart of majestic mountains, and trekking to the source of the most important river and the living Goddess of India, The Ganges. 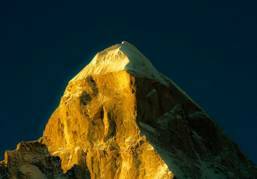 We make exclusive walks to the base of of high peaks and to witness the out standing sun rise and sun set on Shivling and Bhagirathi group of peaks. One joins Indian pilgrims doing their pilgrimage to the source of Ganges and encounters Babas& Sadhus on trek, some of them living round the year in difficult cold conditions doing yoga, meditation and other spiritual practices. Early morning drive to Uttarkashi. Arrive and transfer to river side nature Resort. Remaining day to Relax and to acclimatize. Dinner and overnight rive side resort. 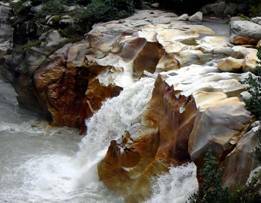 DAY 02.UTTARKASHI/ GANGOTRI DRIVE: 5-6 HRS.OVERNIGHT HOTEL. 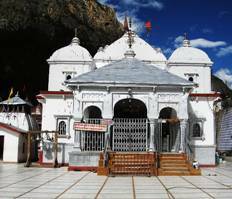 Morning after breakfast visit the famous Gangotri temple. Later we trek to Bhojbasa. The entire trek today is along the roaring Bhagirathi river. ArriveBhojbasa and camp. Afternoon free to explore the area and to enjoy excellent sunset on Bhagirathi group of peaks. Dinner and overnight in tents. DAY 05.TAPOVAN: OVERNIGHT: CAMP Day free to explore the area. One can read, meditate , walk to the base of high peaks and explore high altitude flora and fauna. Evening encounter the most panoramic sunset on high peaks. Dinner and overnight camp. Early morning enjoy the sunrise on high peaks. After breakfast trek to down to Bhojbasa. ArriveBhojbasa and camp. Dinner and overnight camp. DAY 07. BHOJBASA\ GANGOTRI / NETALA (UTTERKASHI) TREK: 4-5 HRS . DRIVE 4 HOURS OVERNIGHT HOTEL. DAY 08.NETALA \ RISHIKESH DRIVE: 5-6 HRS. Early morning after breakfast drive to Rishikesh. Packed lunch enroute. ArriveRishikesh. Altitude: Gangotri :3148 Mts. , Bhojbasa :3792mts. 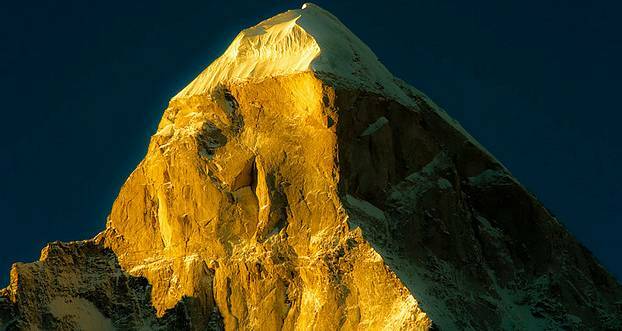 , Gomukh3,898 Mts. Tapovan 4460 Mts.